CIA blows up Twitter with first tweet. Who knew they’d be funny! California license plates are going 1960s retro. Which would you choose: black, yellow or blue? Butter in your coffee? I don’t know but it sounds delicious. 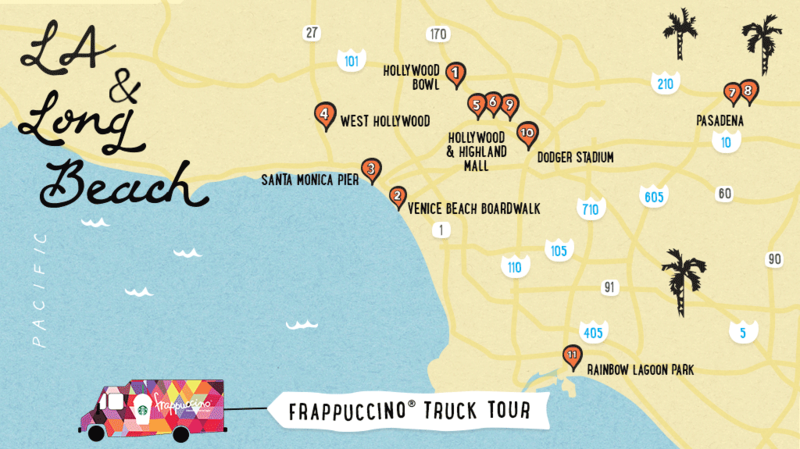 The Starbucks Frappuccino truck is sooo pretty! This limited edition S’well bottle that holds a whole bottle of wine (discreetly! )…need it! ‘Frozen’ queen teen impersonator is truly inspiring (and gorgeous). Just bought this outfit and can’t wait to wear it. P.S. Do you ever think about how you might customize your license plate? Like a tattoo, I don’t know that I can fully commit to something enough to go through with it. What would your custom license plate say?